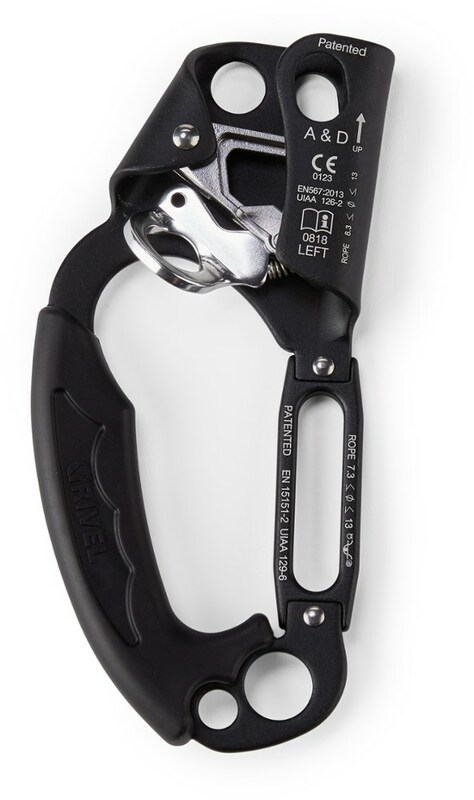 A patented innovation in design and versatile function, the Grivel Right Ascender Descender helps you transition quickly from ascending the rope to descending it. Grivel's Up & Down Ascender adds convenience to your big wall climbing arsenal by doubling as a descender. 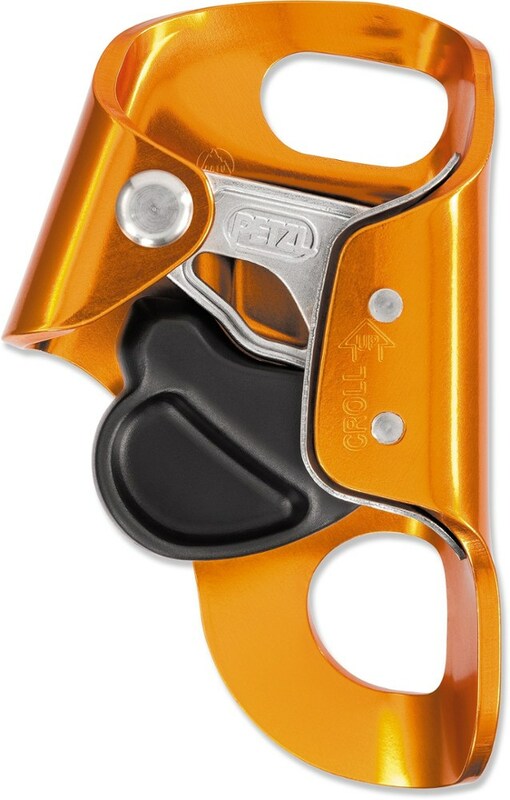 An integrated belay plate lets you bite a single strand through the whole and clip it to your harness like a belay device for rappelling. The Up & Down's primary use (ascending) has the trusty performance you'd expect out of any product by Grivel. 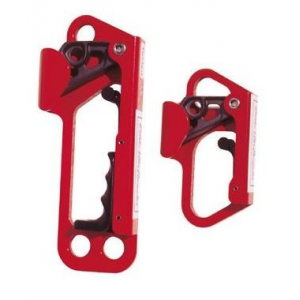 Grivel Big Wall & Protection Ascender Descender-Right 758580. The Ascender Descender. 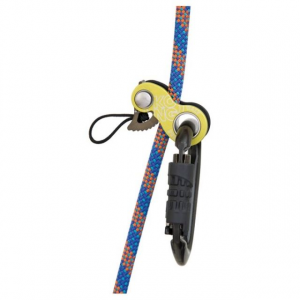 The built in descender allows for quick and safe transitions from ascending up the rope to descending down the rope. 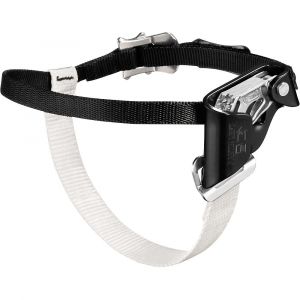 A major leap forward in rope climbing safety and versatility. The Grivel A&D Decender Ascender is a multi-function right or left rope device that can be used as ascender or descender using the hole of the forged plate. Easy handling due to the ergonomic rubber grip. Weight: 258 gr; 9,2 oz. Multi-function right or left rope device can be used as ascender or descender using the hole of the forged plate. Several attatchment points allow for a variety of setups in different cases. Easy handling due to the ergonomic rubber grip. This makes pulling on the handle a pleasure for repeating the length of your climb or descent. Weight: 258 gr; 9,2 oz.